Lock in a great price for Hotel Angela - Adults Recommended – rated 8 by recent guests! Clean, good location, 10 mins from station. Drink prices excellent value. The breakfast was very good, plenty of options and excellent availability of food. We upgraded to a suite for our stay as the standard room was quite small with 2 single beds & I’d asked for a double bed. The suite was absolutely amazing & the view of the sea was 100% on point. It was €30 extra a night for the upgrade but well worth it. Location is ok, though if that room is a sea view then my eyes need testing! Great location, very clean, lovely staff, good breakfast ( we stayed on a bed& breakfast basis), very comfortable lounges, nice indoor pool, lots of outdoor pool areas, again all very clean and comfortable. Entertainment. Comfy lounge. Good breakfast selection. Hotel Angela - Adults Recommended This rating is a reflection of how the property compares to the industry standard when it comes to price, facilities and services available. It's based on a self-evaluation by the property. Use this rating to help choose your stay! 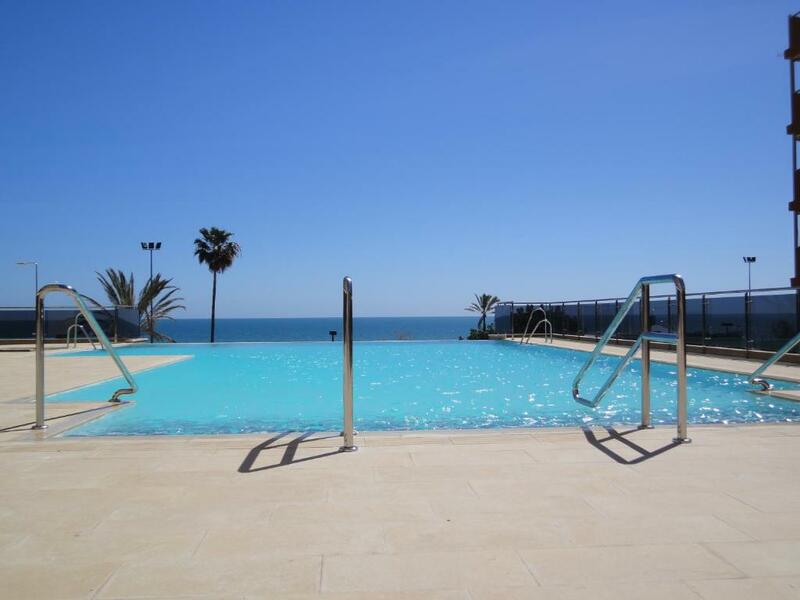 One of our top picks in Fuengirola.Located on Fuengirola’s seafront promenade, Hotel Angela features a wellness center and an outdoor infinity pool. Its air-conditioned rooms have satellite TV and a private balcony with sea views. 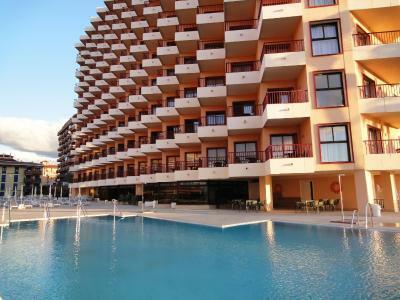 The rooms at Angela Hotel Fuengirola feature tiled floors and plenty of natural light. Each one comes with tea and coffee-making facilities. 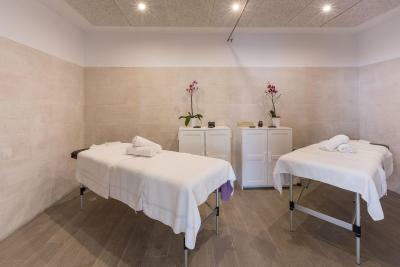 The wellness center features an indoor pool, sauna, Turkish bath and massage room. Hotel Angela offers regular shows, including a weekly flamenco night. The hotel also organizes dance classes and bingo nights. The buffet restaurant serves international food. There is also a poolside snack bar serving drinks and light meals throughout the day. 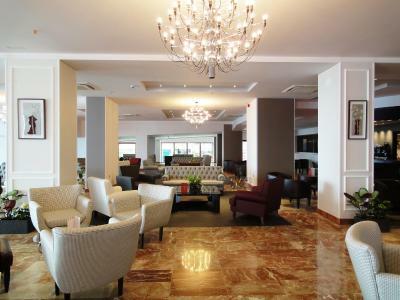 The Angela Hotel Fuengirola has easy access to the A7 Motorway. On the beaches just outside you can find various water sports facilities. 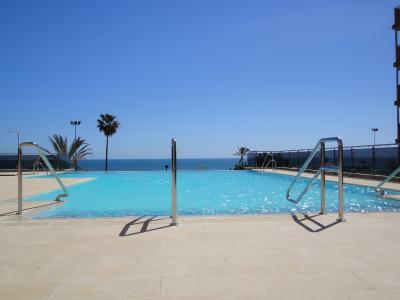 Fuengirola Train Station is 5 minutes' walk away. When would you like to stay at Hotel Angela - Adults Recommended? 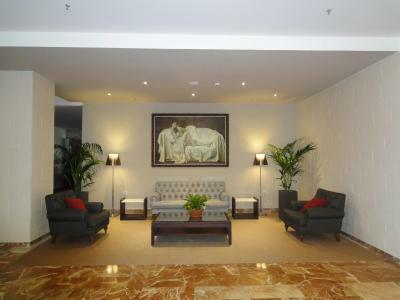 This air-conditioned room features satellite TV, a safe and frontal or side sea sea views. It comes with tea and coffee-making facilities, and the private bathroom includes a hairdryer. 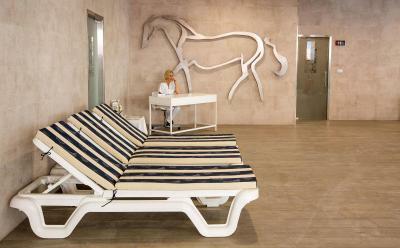 House Rules Hotel Angela - Adults Recommended takes special requests – add in the next step! Hotel Angela - Adults Recommended accepts these cards and reserves the right to temporarily hold an amount prior to arrival. Seagulls swimming in pool !!! I pointed out dirty cutlery on 2 occasions to the waiters. There are only 2 suites in the hotel & on floor 1 so you could traffic outside early & workers. The suite would be way better higher up. Hotel chosen because of spa, but it was charged extra! Breakfast seems to be left over from the day before. Due to the upset about the funeral I paid for breakfast for two mornings, not realising we had to leave fairly early on the 2nd day. So the day before I approached reception and asked (in fluent Spanish) if I could cancel the 2nd breakfasts, explaining the situation. They offered to do an earlier one for us but it was too early to eat so they said it wasn’t a problem to reimburse us. On checking out we discovered they couldn’t reimburse us. If we’d been told this the previous day we’d have accepted and set the alarm much earlier. Our objection is having to pay for a service we didn’t use having cancelled with plenty of notice. I think the hotel should make sure staff communicate the hotels’ policy properly and either inform the client or make some allowances. Clean and we appreciated being allowed to check in earlier which was hugely helpful as we had to get to a funeral by midday. There was nothing we didn’t like but I would say that the bedrooms are due for a refurbishment.